Geneva, Tuesday December 19, 2017 – 2017 will have been an outstanding year for the Fondation de la Haute Horlogerie (FHH). After twelve representatives of “new watchmaking”, it is now a traditional Manufacture that joins the circle of FHH partner-brands. ZENITH – whose origins go back to 1865 and which continues to occupy its original buildings in Le Locle in the Canton of Neuchâtel – thus becomes the foundation’s 42nd partner-brand. Year after year, a growing number of watch companies have united around the FHH whose mission is to inform about and promote the values of Fine Watchmaking. 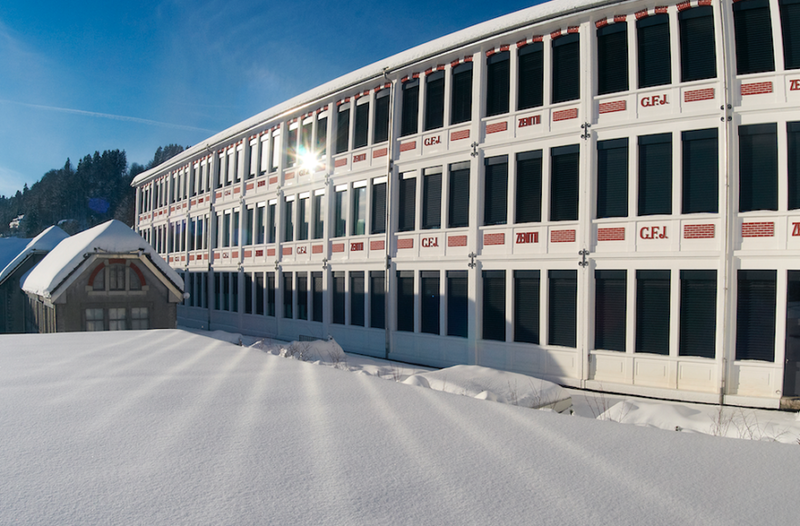 Created in 2005, the FHH is entirely focused on activities to provide information, deliver training and organize events for both the public and watchmaking professionals. It enjoys the support of a widening circle of partner-brands which recognize its objectives as a goal they can pursue as one. The synergies that have emerged from this united spirit are essential when forging a culture of fine watchmaking which can be shared through learning and communication. Over the years, the FHH has demonstrated its competencies as a creator of content and experiences that reflect the expertise, emotion and legacy of fine watchmaking. Legacy is very much a part of ZENITH, with its century and a half of history. From the beginning, it set out to produce the most precise and reliable timepieces ever made by completely rethinking production and bringing the different watchmaking professions together under one roof into the first Manufacture. Thanks to this pioneering concept, throughout the decades ZENITH watches and movements have earned multiple distinctions in chronometry competitions and the admiration of watch enthusiasts and modern-day adventurers around the world. Who could ignore the legendary El Primero which in 1969 became the first integrated automatic chronograph calibre whose high frequency measured time with tenth-of-a-second precision? 2017 has been a great year for the FHH and for ZENITH too in showing how an established brand can innovate like a start-up. It began with the unveiling of the Defy El Primero 21, a dual-chain chronograph that calculates 1/100th of a second. It followed this with the Defy Lab, fitted with a revolutionary monobloc oscillator. Winner of the Grand Prix d’Horlogerie de Genève 2017 Innovation Prize, it attains precision which a mechanical calibre has never achieved before. With these two timepieces, ZENITH shows that Fine Watchmaking remains wide-open to new developments and discoveries – an attitude the FHH is especially pleased to share by welcoming this storied and visionary company among its partner-brands.